MESH CAP 14TH A.F. 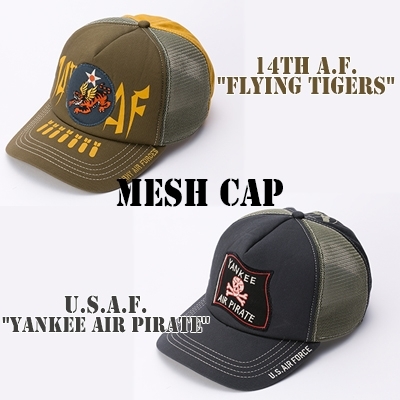 "FLYING TIGERS"
MESH CAP U.S.A.F. "YANKEE AIR PIRATE"